If you are an individual, company, business or any other entity currently facing, or expecting to face, a criminal or civil tax investigation, you should immediately contact Michael S. Adelman, Esquire. 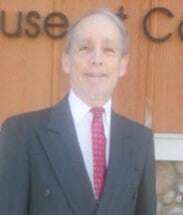 From 1970 through mid-1986, Mr. Adelman was employed in the IRS's Office of Regional Counsel, in Philadelphia, serving as a Senior Trial Attorney from 1975-1986. During this 16-year service as an IRS attorney, Mr. Adelman was a specialist in the evaluation for the IRS of criminal tax (tax evasion, false returns, non-filing and Federal Grand Jury) matters. For seven of those years, he also represented the IRS in United States Tax Court civil cases, arising from appealed tax audits, usually involving issues such as unreported income, misstated deductions, civil fraud and/or other penalties, innocent spouse, tax shelters or transferee liability. From mid-1986 to date, Mr. Adelman has moved to the "other side," with a legal practice geared almost exclusively to tax defense. The range of services is from full-scale legal representation to consulting, serving as co-counsel or as an expert witness. These tax defense services are available for tax evasion, non-filings, Federal Grand Jury, false tax returns and/or false statement criminal tax cases. Mr. Adelman is also available for all issues typically involved in U.S. Tax Court cases, tax audits and administrative appeals from audit determinations, or for IRS collection disputes. Finally, Mr. Adelman has the expertise to offer counsel and representation in all types of State Tax disputes, especially for States located on the East Coast. The tax defense services are not only for individuals and businesses, but also can be structured to assist accountants, or attorneys, who may wish to retain control of a client, while being guided and counseled behind-the-scenes by an expert with more than 40 years of tax controversy experience. Finally, Mr. Adelman's tax practice is national in scope. Representation and counseling is available not only "in person," but by a combination of media such as phone, fax and e-mail. Advice can be rendered on an issue-by-issue or entire case basis. Legal fees are reasonable, especially in light of Mr. Adelman's 16 years of compliance experience with the Treasury Department and more than 25 additional years as a defense attorney. Terms will be proposed in written form, time actually used for legal services will be itemized, and any unused portions of retainers, or other advance payments, are refundable to the client. Though Mr. Adelman's experience, expertise and areas of concentration are predominately geared toward Federal and State Tax Defense representation, he also can be of great assistance to regional (South Jersey and the Philadelphia Region) clients who would benefit from the relationships he has developed over many years of practice with local Court prosecutors and Judges, in the areas of Municipal Court cases (speeding tickets, reckless or careless driving citations,disorderly conduct,assault etc. ).